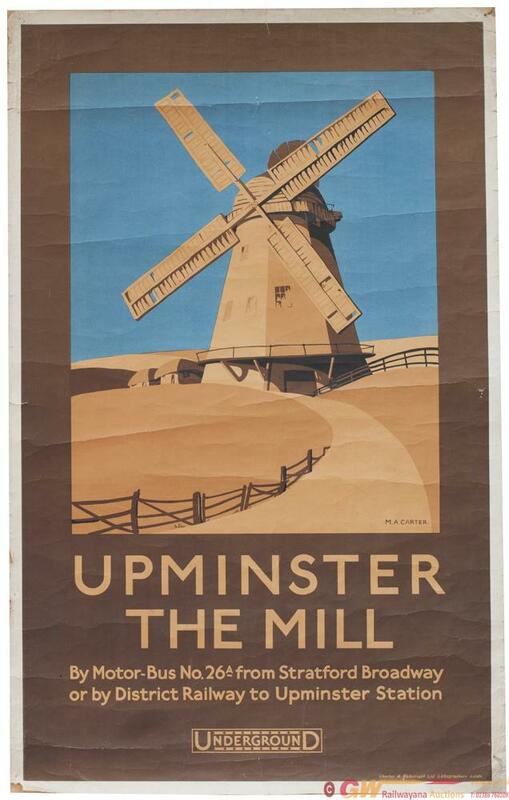 Poster London Underground UPMINSTER THE MILL By M.
Poster London Underground UPMINSTER THE MILL by M. A. Carter. Double Royal 25in x 40in. In good condition with slight loss to the corners.